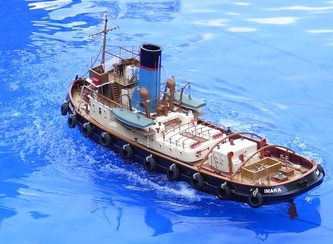 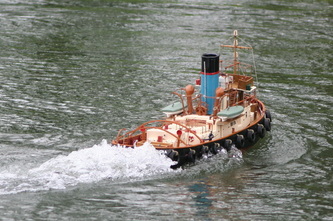 Imara is a harbour tug. 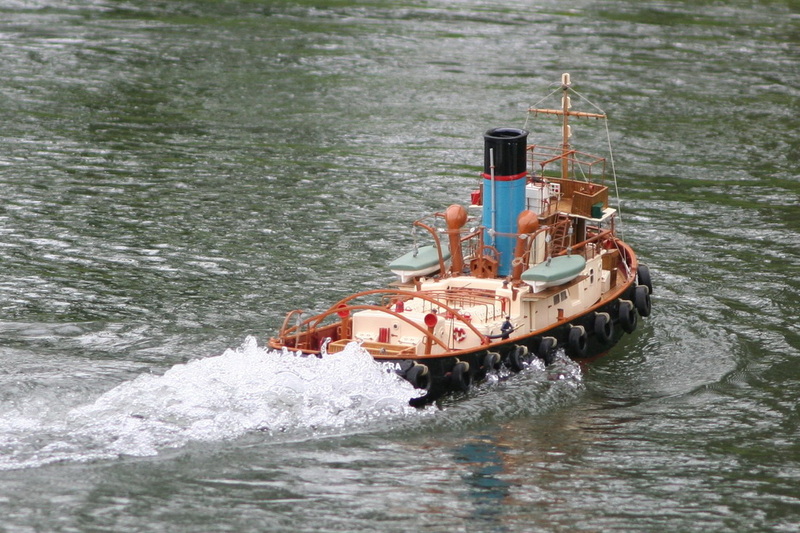 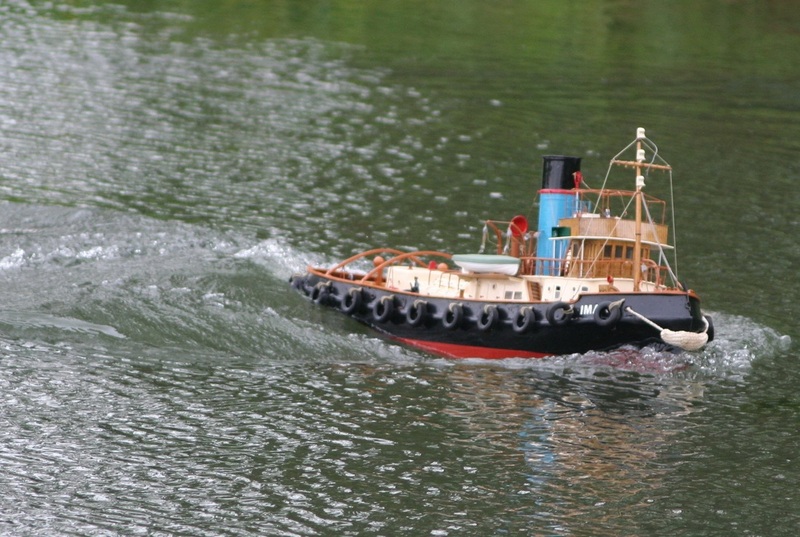 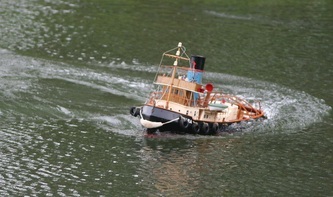 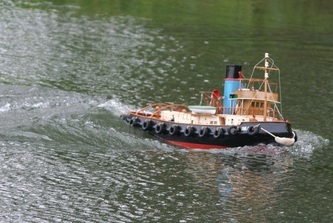 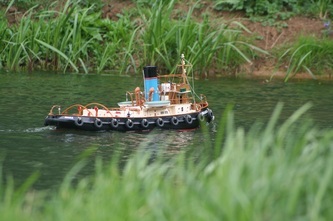 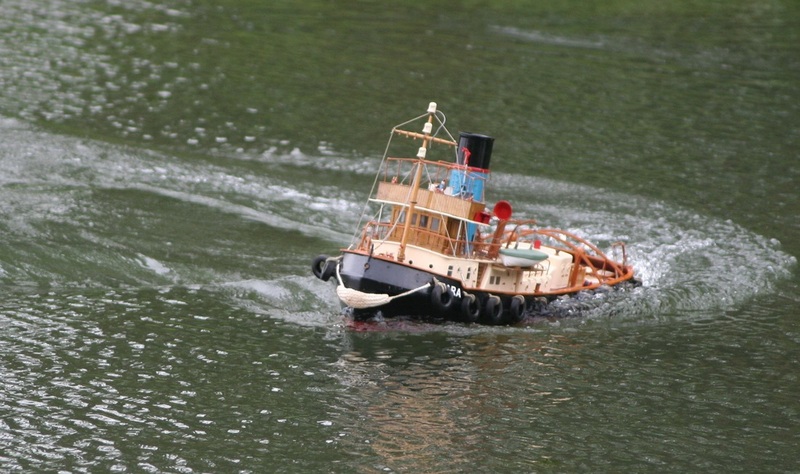 I purchased this tug several years ago, and refurbished it. 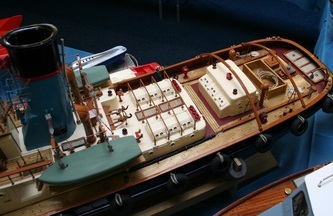 Powered by a bosch fan motor, it has sound generator of a steam engine. 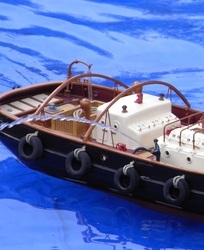 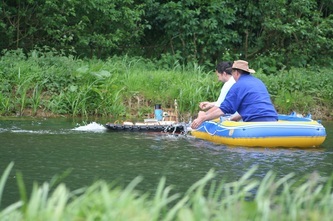 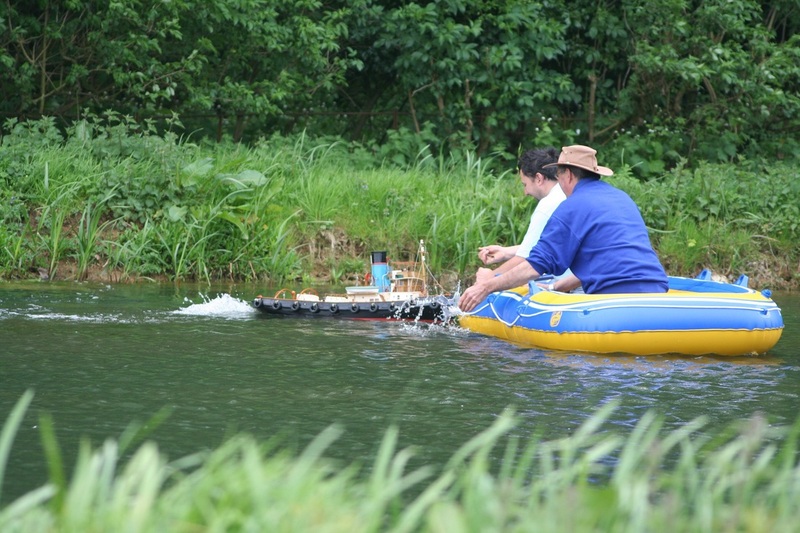 Installed is a water pump which shoots out water from a hose held by a deckhand, which can swivel, by means of a servo. The vessel was designed for use in the tropics, which took 6 months to build, she sailed for Dar-es-Salaam on the 15th April 1931. In 1932 just one year after delivery Imara was purchased from the Tanganyika Railway Company, by the royal navy. 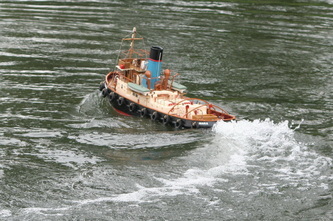 She was re-named Perseverance. 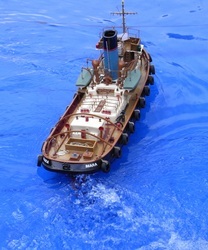 Considerable changes were made for service in cooler climates.1:32 scale, length is 44" and beam 12"